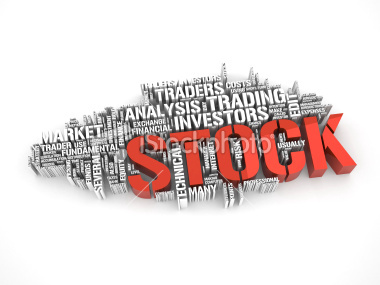 Why Share Price is Not Important while Buying Stocks? We started Hidden Gems annual subscription in late 2010 followed by other services like Value Picks, 15% @ 90 Days and Wealth-Builder, today we have a strong subscriber base covering almost all major states in India and from 20 other countries across globe. During the last 6 years we have interacted with several investors seeking multibagger return from stocks. It was 17th Dec 2011, we recommended Cera Sanitaryware as Hidden Gem stock of the month at price of Rs 167, later it went up to Rs. 450 in period of 15 months. Based on strong quarterly numbers, attractive valuations and consistent performance, we recommended buy again in the range of 400-450 which was taken as a surprise by our members as we received several queries and feedback. Cera Sanitaryware touched its life time high of Rs 2895 last year, today stock closed at Rs. 2361, stock has given as on date returns of 1314% within 5 years from our initial recommendation and 425% return from our reiterated buy at Rs. 450, which was not liked by our subscribers. The story does not end here, there is a long way to go. Our suggested stocks is with a view-point of 1-3 years at least and not just 6-9 months. If fundamentals of the company are intact, we would not suggest our members to do profit booking or exit. Investors who stayed away just because of high price simply missed yet another opportunity. We continuously recommended Cera during last year to our members at much higher levels. Lets try to understand this with an example, Tide Water Oil share price was Rs. 1450 on 1st Jan'12 (stock split and bonus issue adjusted price, actual price was 5800). Today the stock price is at Rs. 5691 giving absolute returns of 292% i.e. almost 4 times in 4.5 years against double digit return of Sensex in the same period. We suggested Buy on Tide Water Oil and many of our subscribers might not have invested in it thinking that they can buy hardly 2 shares by investing Rs. 12,000 but now those 2 shares are actually 8 shares post stock split and issue of bonus share and share price is also near to the the recommended price. There are many examples like above by which we can illustrate that there’s nothing called high price. Multibagger returns is not dependent on the current market price of a stock, so don't be afraid of investing in high priced stock. You need to look at fundamentals like PE ratio, PB ratio, ROE, ROCE, debt on books, cash reserves along with other parameters to judge a stock whether it is undervalued or overvalued. We agree with you that judging valuation is not an easy task. So, take expert’s advise when ever required. Lets try to understand this also with a simple example, Lanco Infratech is a well-known company from Infrastructure sector. At the beginning of 2010 the stock was around Rs 55. Today it is hovering at just Rs 4.35. Those who purchased that stock during 2010 are in 92% loss! Rs. 1 lakh invested in Lanco Infratech in Jan 2010 is valued at merely Rs. 8,000 today, a complete wealth-destroyer! Isn't it? Those who bought this stock at levels of Rs. 30 and later again at Rs. 10 to average out thinking that stock has came down from all time highs of Rs. 85 are still waiting to get their buying price back. There are many such stocks like Suzlon Energy, GMR Infra, GVK Power and Infrastructure etc which have continuously destroyed wealth of investors over a period of last 5 to 7 years. Subscribe to Hidden Gems & Value Picks and start investing systematically. You can avail discounts up to 30% and valuable freebies on our subscription services under Saral Gyan Dussehra Diwali Offer of the Year. Below table indicates subscription services and discounted prices valid up to 2nd Nov'16. Now you can add power to your equity portfolio by investing in best of small & mid cap stocks - Hidden Gems & Value Picks. Enjoy maximum savings and receive valuable freebies with Saral Gyan Dussehra - Diwali Offer by availing subscription of our Hidden Gems, Value Picks & Wealth-Builder services. Hurry! Last few Days... Offer will disappear on 2nd Nov'16 at 11.59 pm. Also Read: How to Pick Winning Stocks for Investment?